The lesson plans combined with the Fitmedia Fundamental testing programme make sure they have learnt and mastered each fundamental movement skil. Want to improve your Primary PE teaching? The Association for Physical Education (afPE) and Fitmedia have joined forces to create a bespoke resource to help support the teaching of physical competence in primary schools. The cards are handy and easy to use, and are specifically designed for Key Stage 1 children, whether they are learning the skills for the first time or consolidating previously learned skills. They can also be used with older children, to reinforce their existing learning or as warm up activities before games and fun. What are the Lesson Cards? Each card focusses on a different skill within one of those areas (eg throwing, catching, and jumping). The card explains the skill and why it is important. It then provides an exercise for teachers to demonstrate and teach the skill to be learnt. 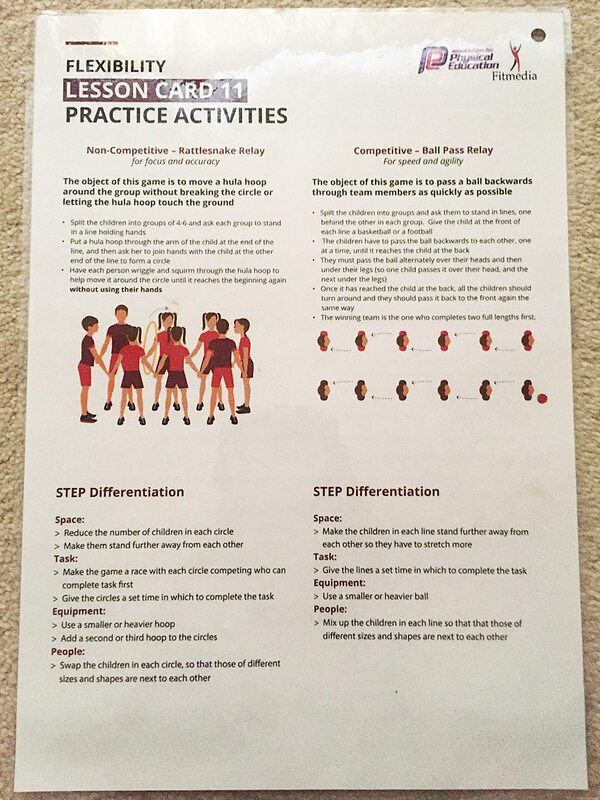 Each card then contains Practice Activities which the children can then play when they have completed the basic exercise. This gives the opportunity for children to apply the skill in both competitive and non-competitive contexts. People – changing the number and arrangement of children in a team or group. Teaching physical competence is not easy. 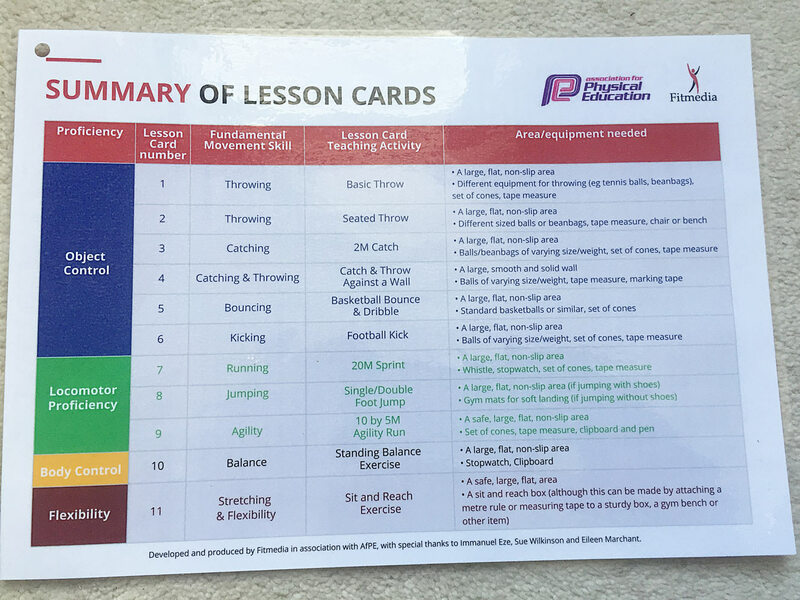 The lesson cards from afPE and Fitmedia are a simple and practical way to deliver effective PE. They provide simple and straightforward activities to teach children the skills that they need. The activities can be carried out anywhere (inside or outside) and include many children at the same time. They require no specialist equipment or expensive kit, and can be done with resources that would already be present in the school. The lesson plans combined with the Fitmedia Fundamental testing programme, make sure they have learnt and mastered each fundamental movement skill. Together, ensure you can keep track of the children as they learn and master the skills. This includes where they excel and where they can improve. It can also keep help monitor their basic fitness levels. This entry was posted on September 25, 2018 by admin.